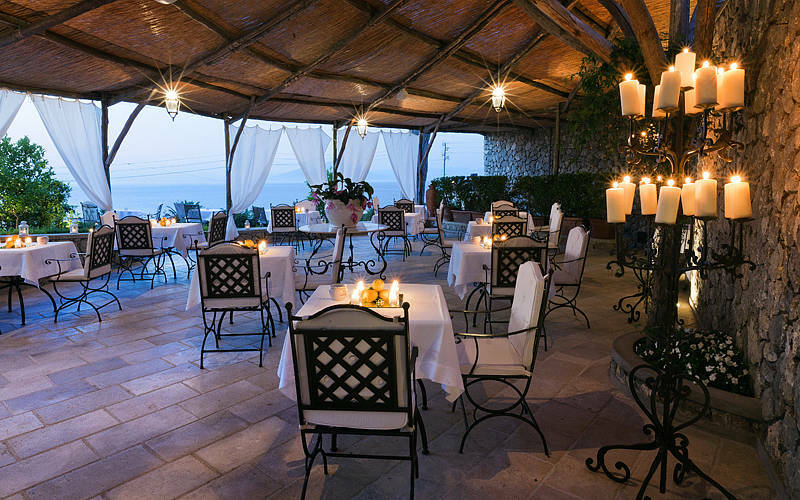 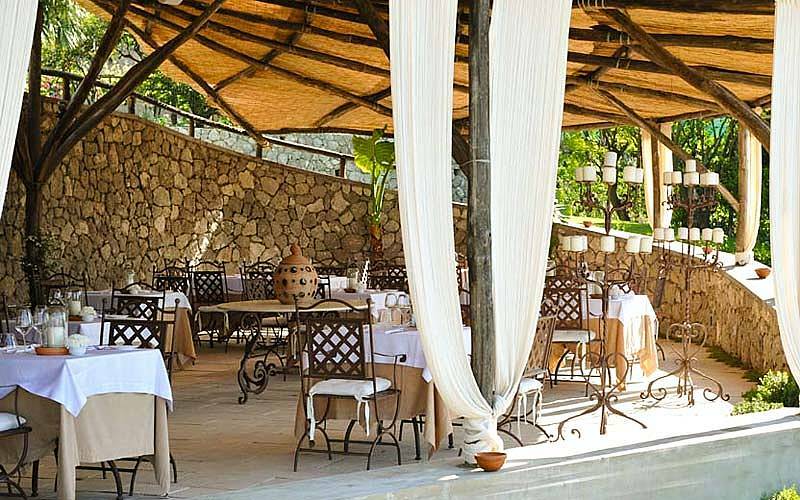 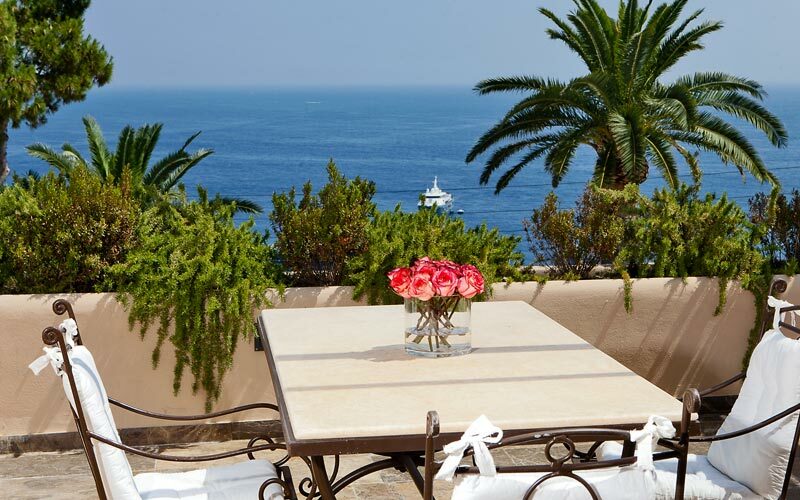 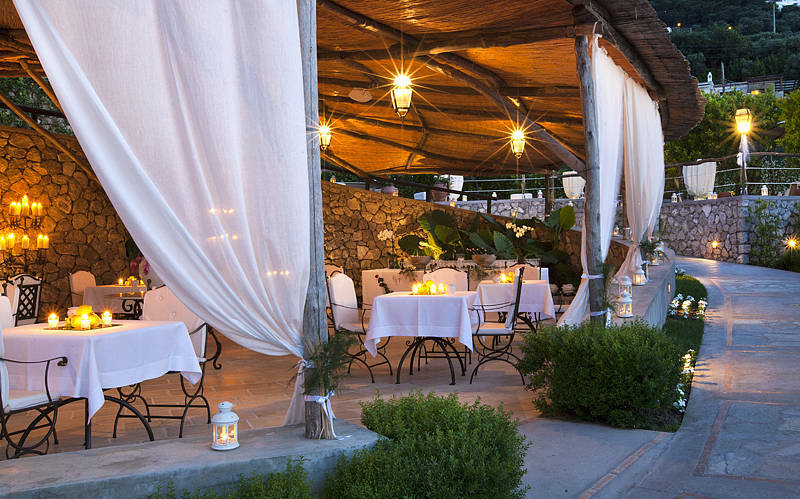 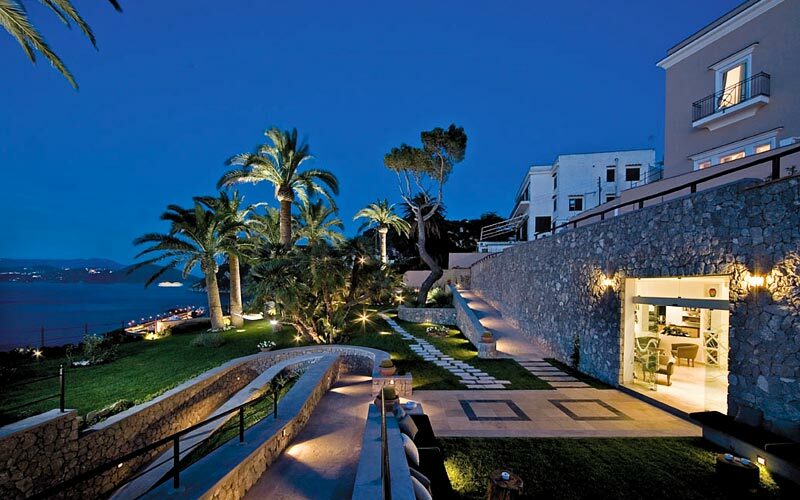 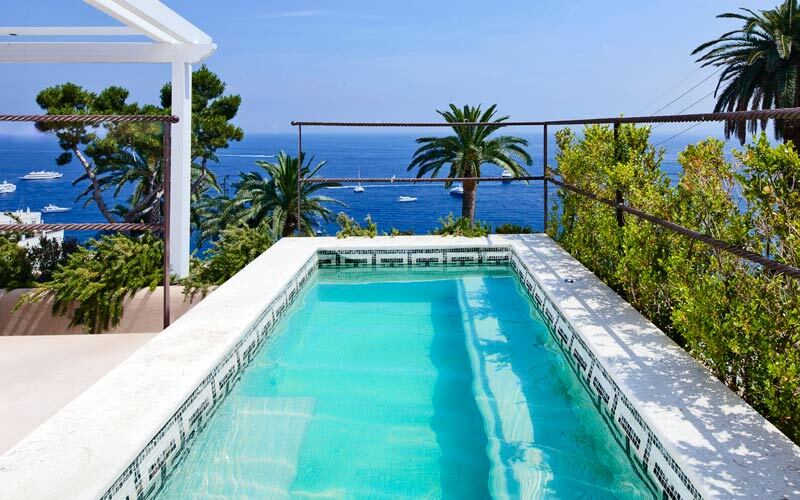 A beautiful boutique hotel, situated on the old road which leads from the port of Capri to the island's famous Piazzetta, the 5 star Villa Marina Capri Hotel & Spa occupies a finely restored 20th century residence, set in wonderfully panoramic, sea view gardens. 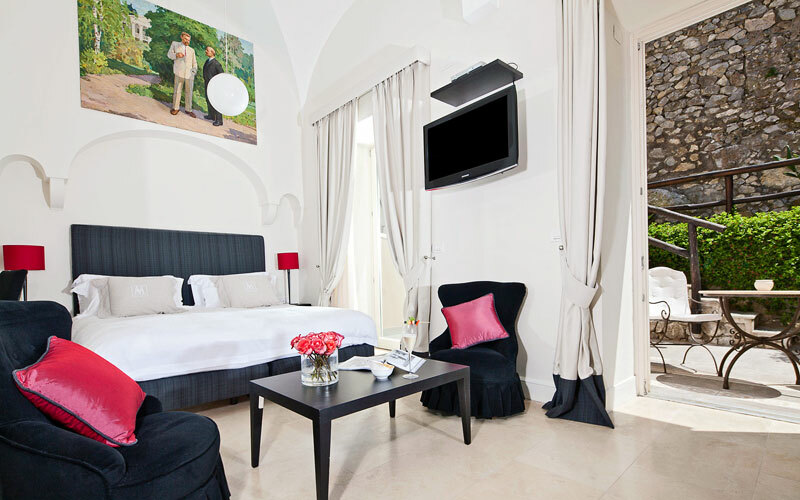 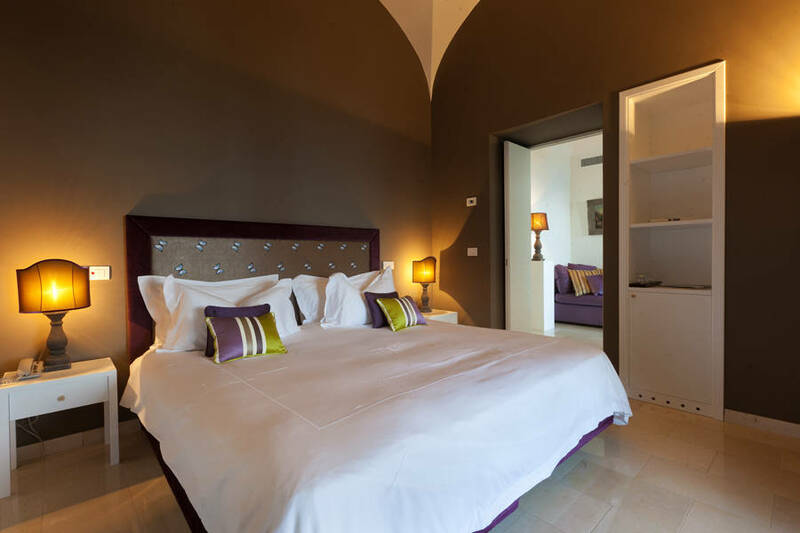 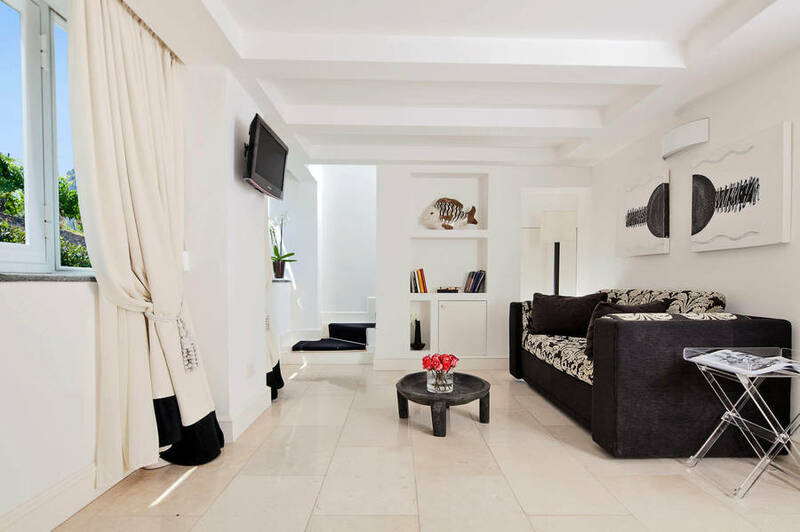 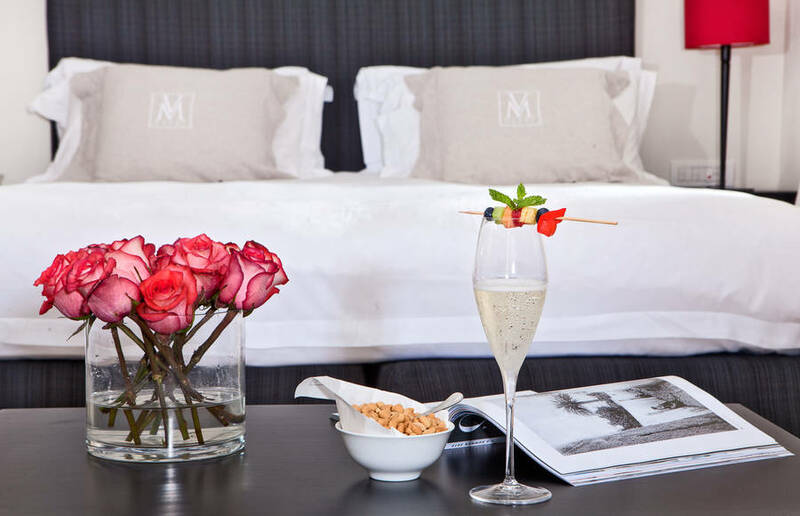 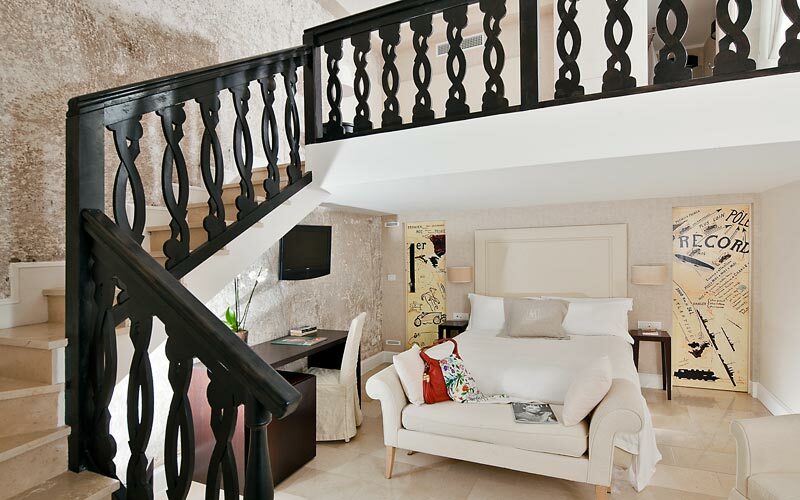 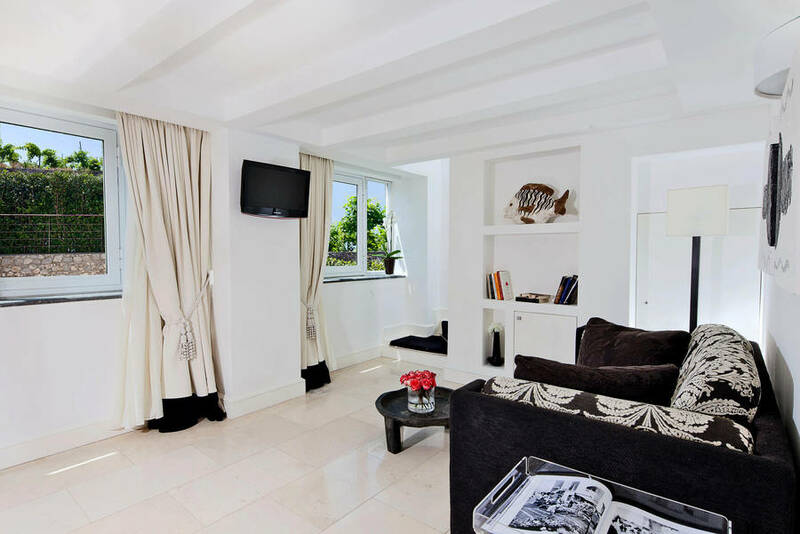 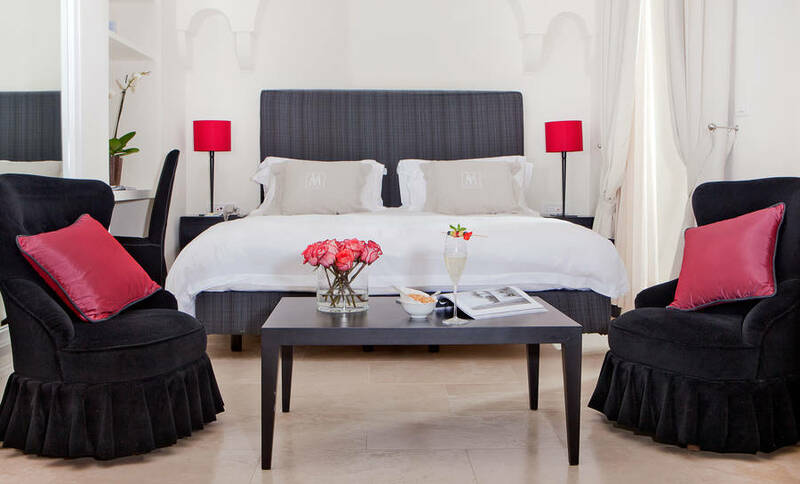 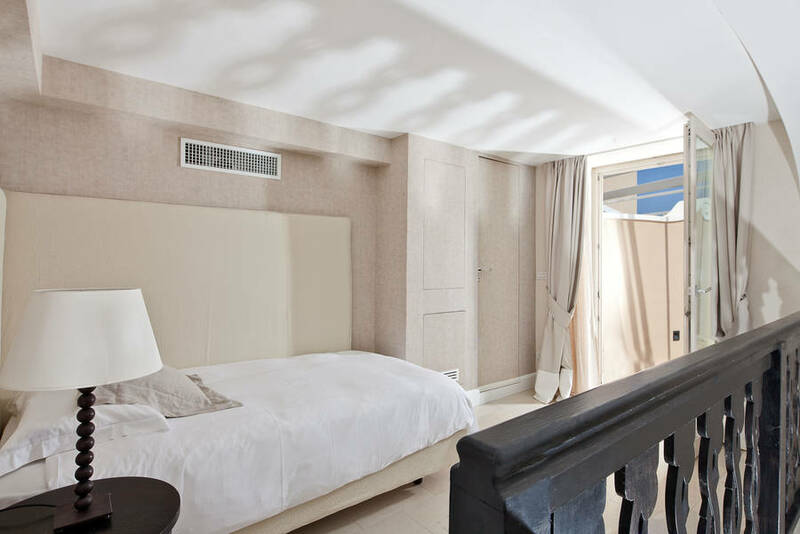 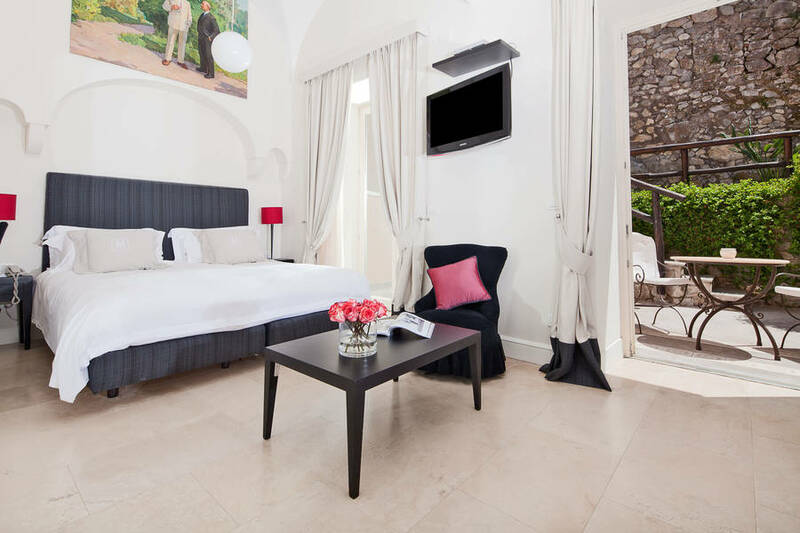 22 ways to say "I love you"
Guest accommodation is provided in just 21 bedrooms and suites, each of which has been inspired by and named after one of the many artists who, in the 1900's, contributed to both the cultural importance and international tourist appeal of Capri. 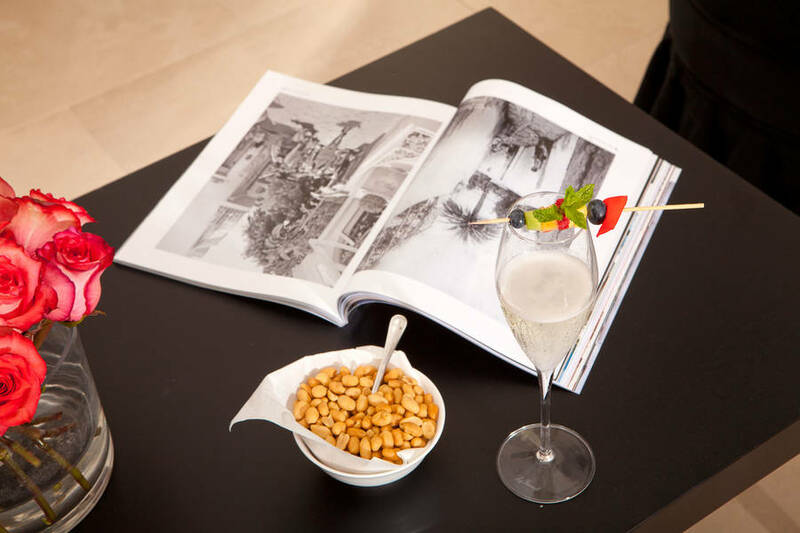 Looking for something really special? 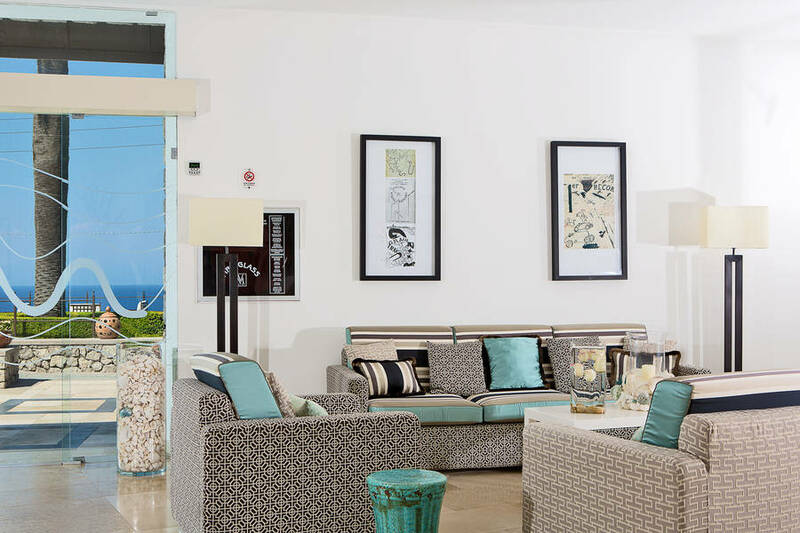 The suites inspired by Edwin Cerio, Charles C.Coleman and Filippo Marinetti open out onto large sea-view terraces complete with private plunge pool! 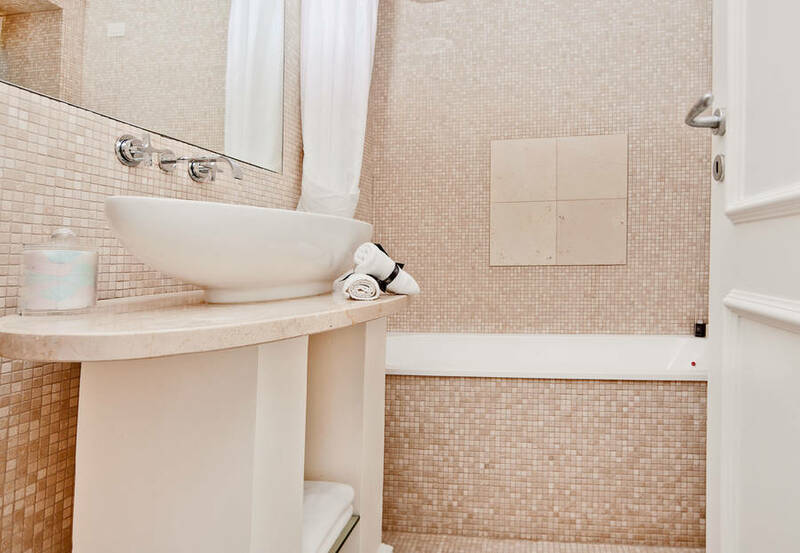 Italian designer furnishings, original artworks, and luxurious bathrooms with oversize tub or rain shower are standard features in all rooms. 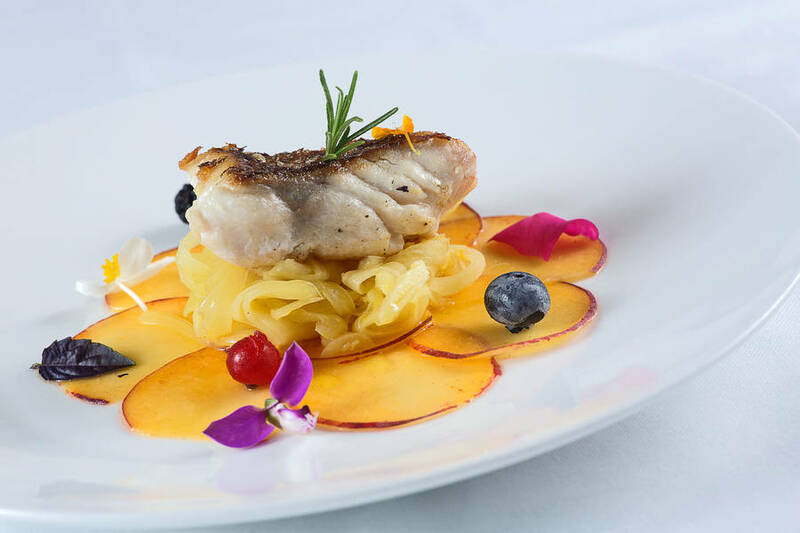 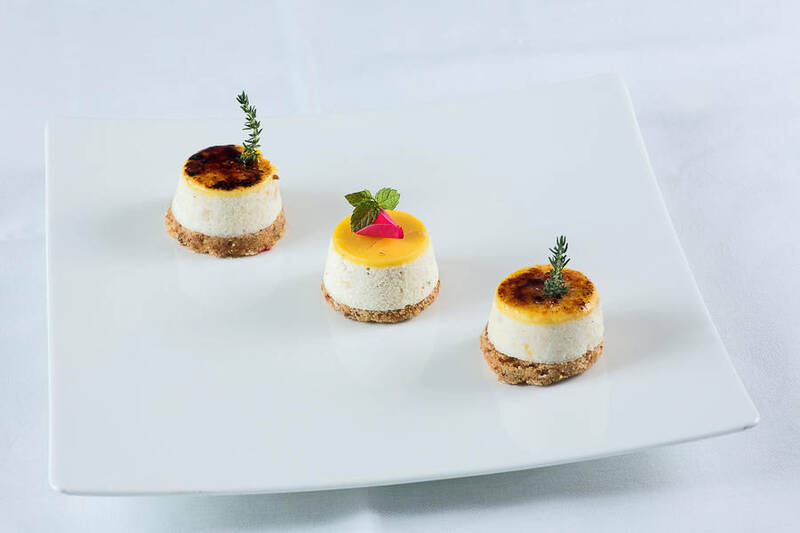 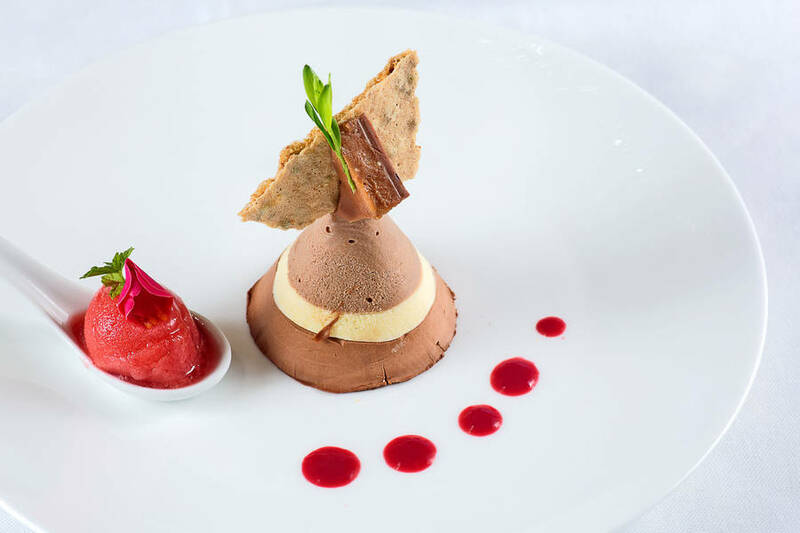 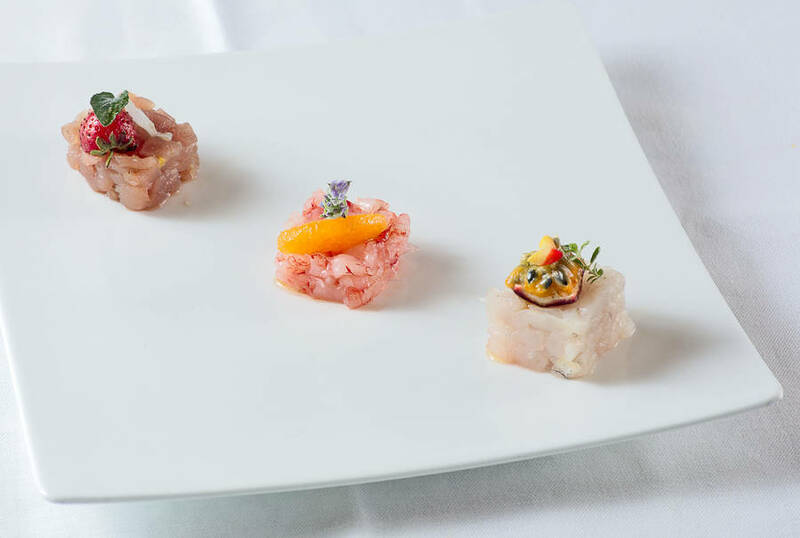 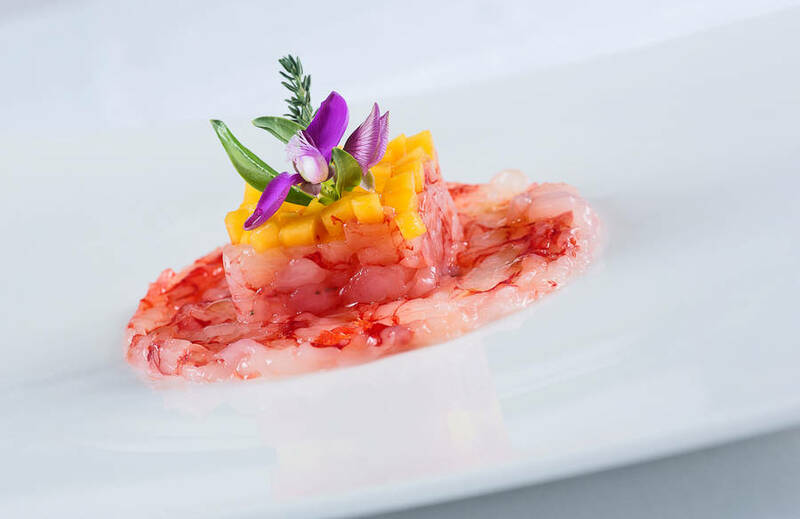 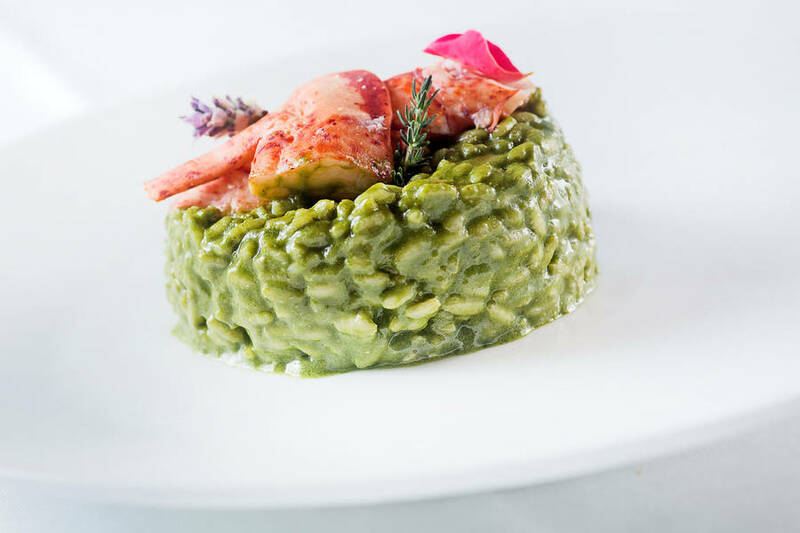 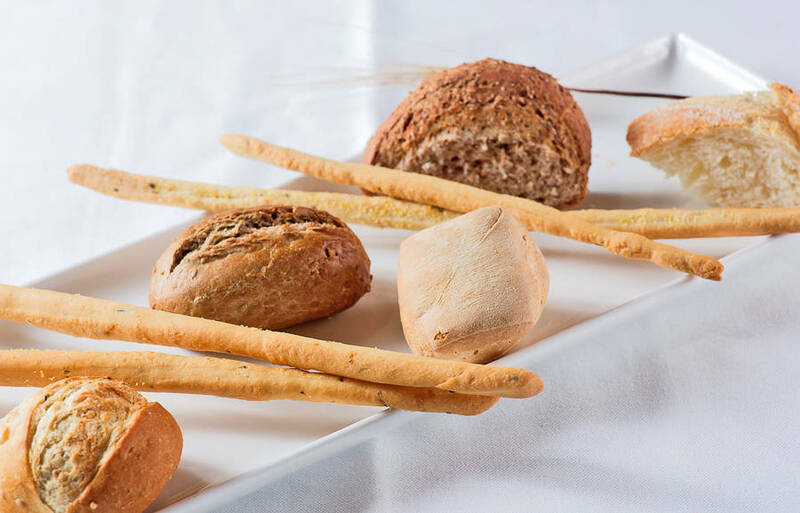 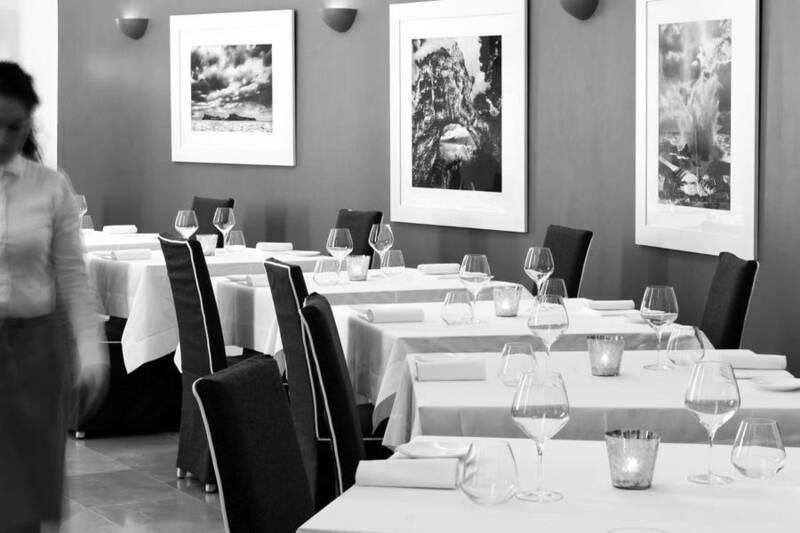 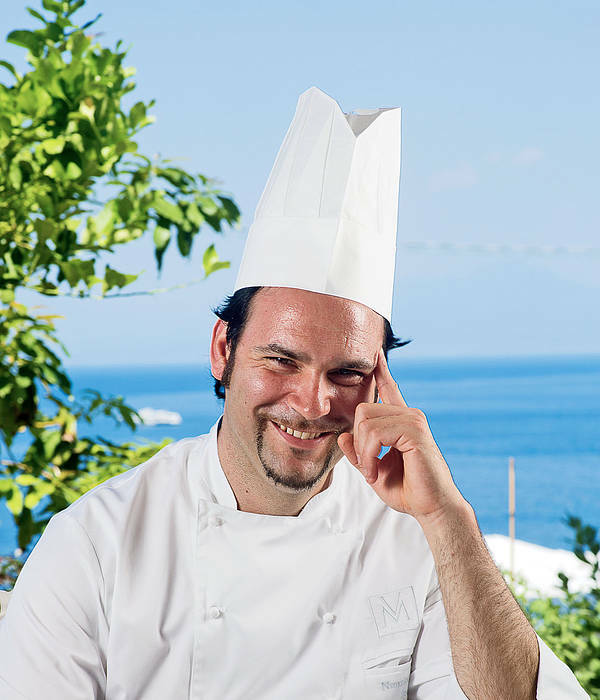 The aromas and colors of the Mediterranean, the authentic taste of traditional regional cooking and its evolution in exciting contemporary cuisine by Chef Emanuele Cataruzza: the exquisitely presented dishes served at Hotel Villa Marina's "Ziqù" restaurant are guaranteed to delight the senses. 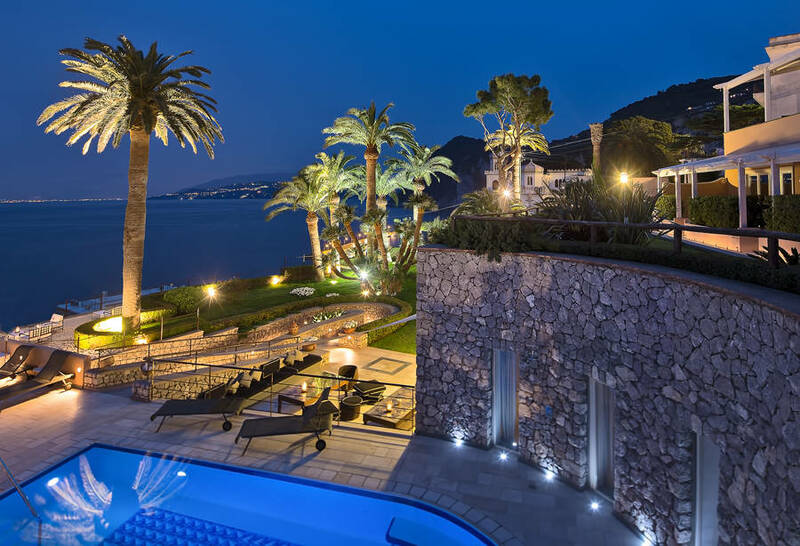 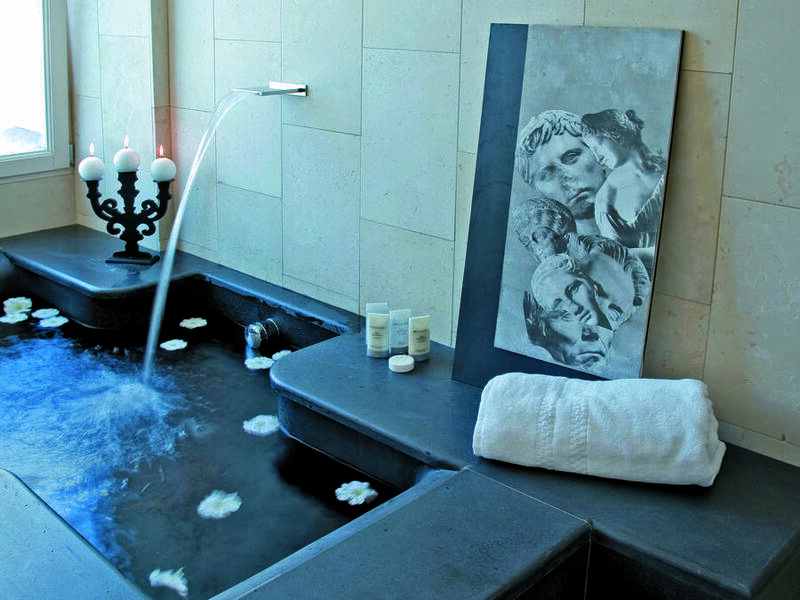 Turkish bath, sauna, emotional showers, chromotherapy, hydromassage jets: Hotel Villa Capri Marina's stunningly stylish "Stai" spa exploits the health-inducing properties of water to produce lasting sensations of wellbeing. 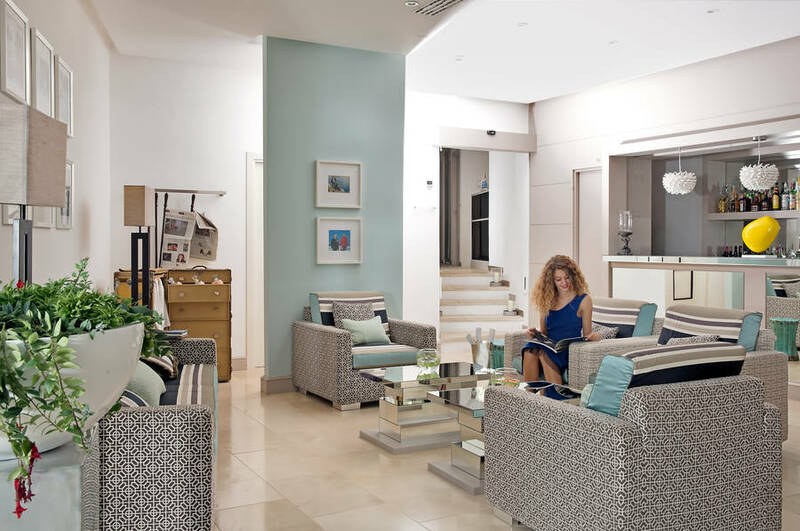 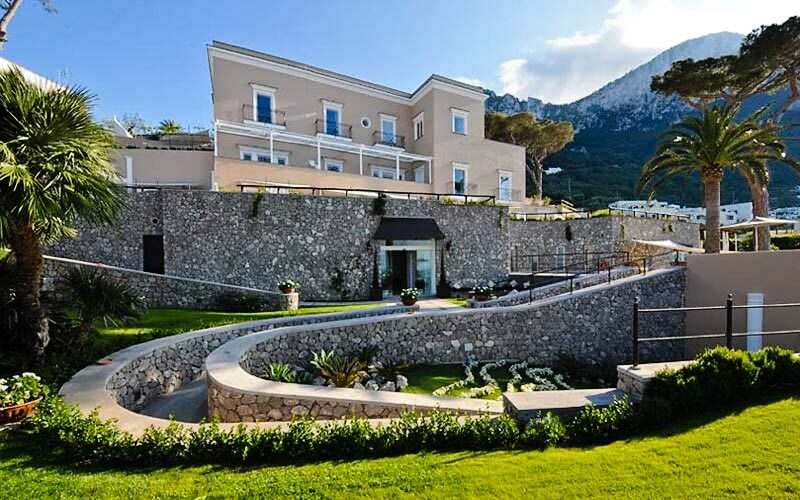 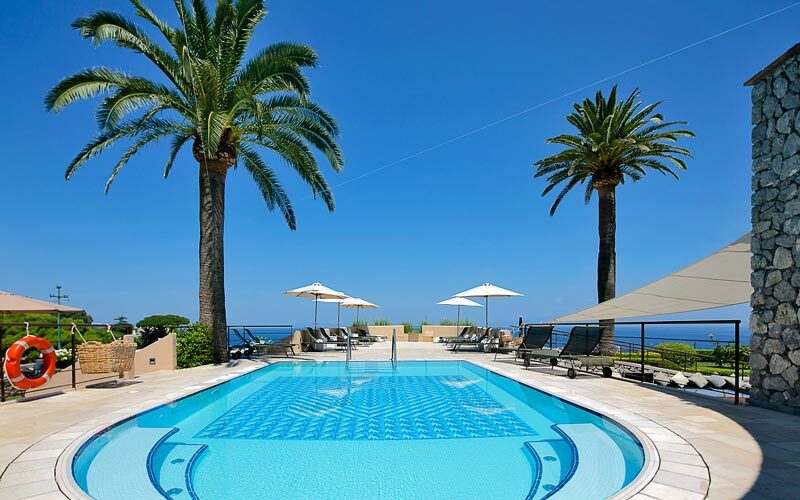 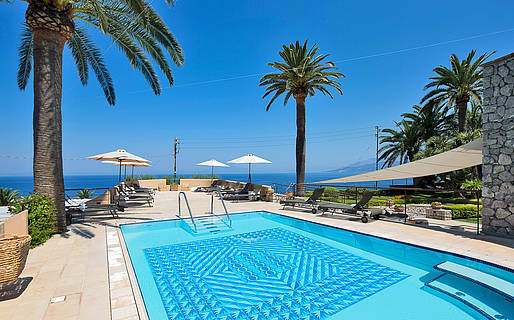 Villa Marina Capri Hotel & Spa is located in Marina Grande, close to the port and the largest of the island's beaches, on the road which links Marina Grande with the Piazzetta, the center of Capri. 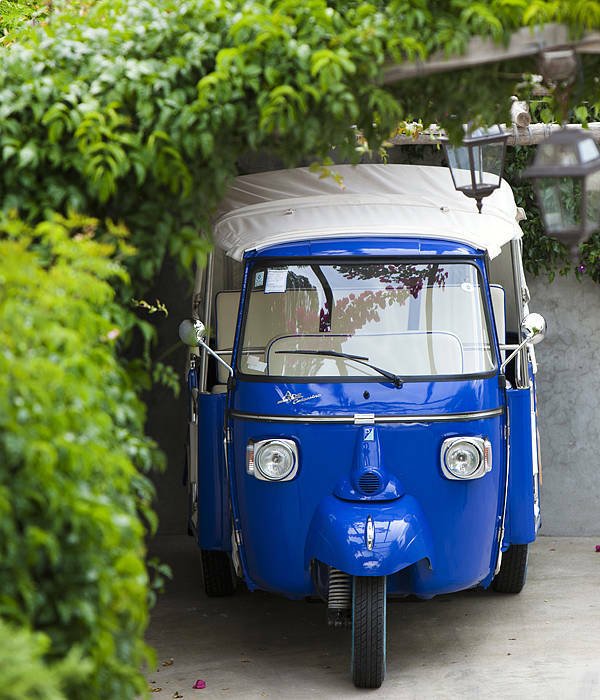 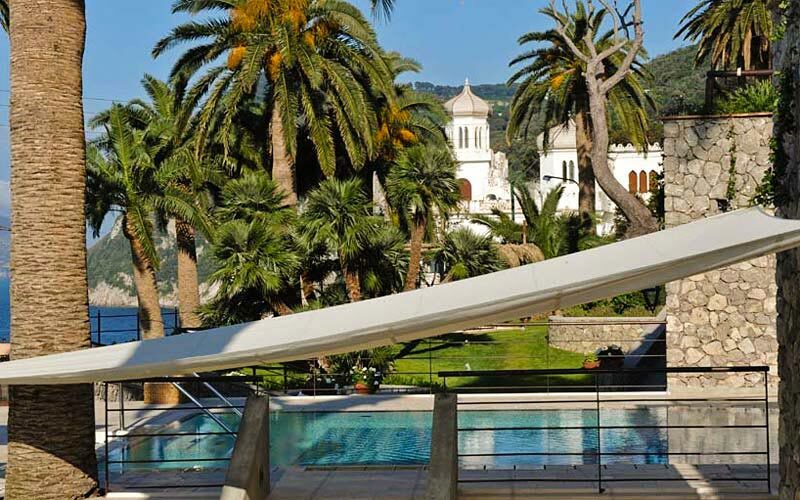 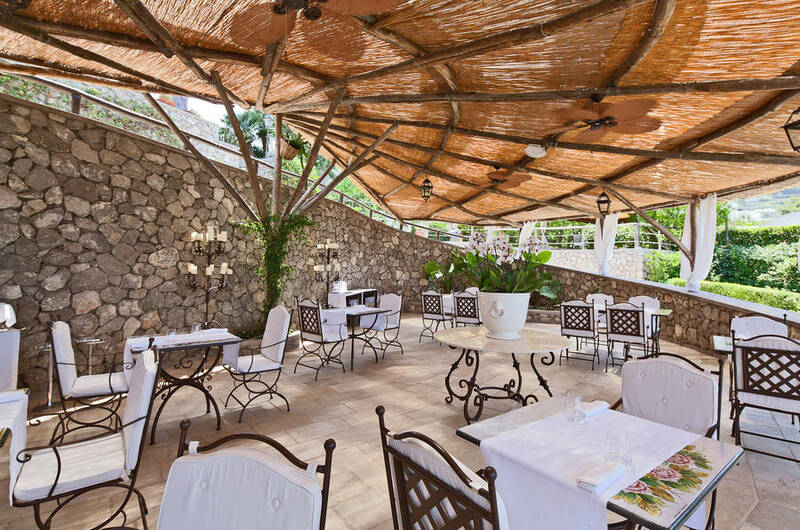 Hotel Villa Marina is immersed in a secular park with views of bay of Naples, Punta Campanella and the island of Ischia. 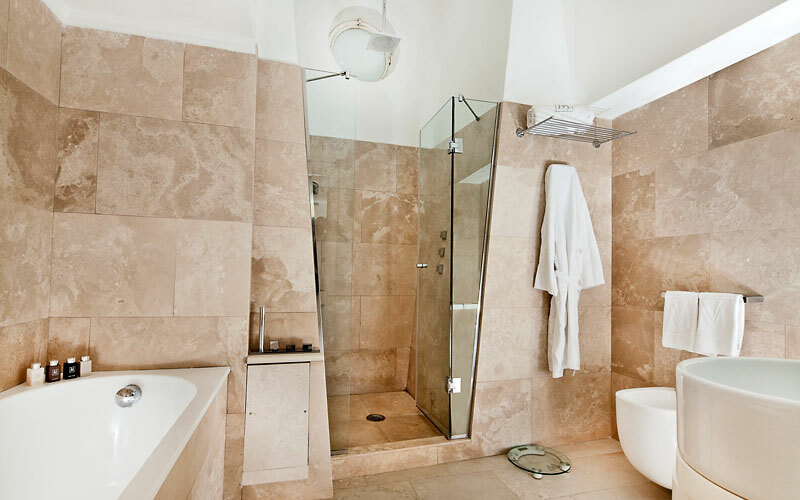 "The bedrooms and bathrooms are perfect. 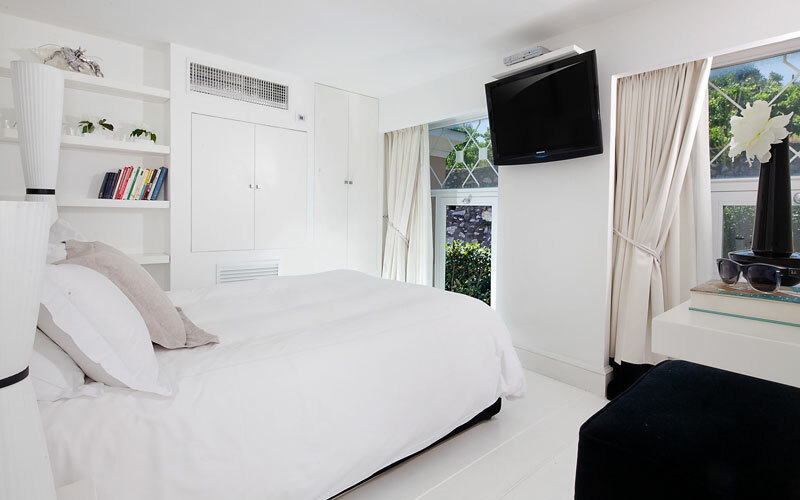 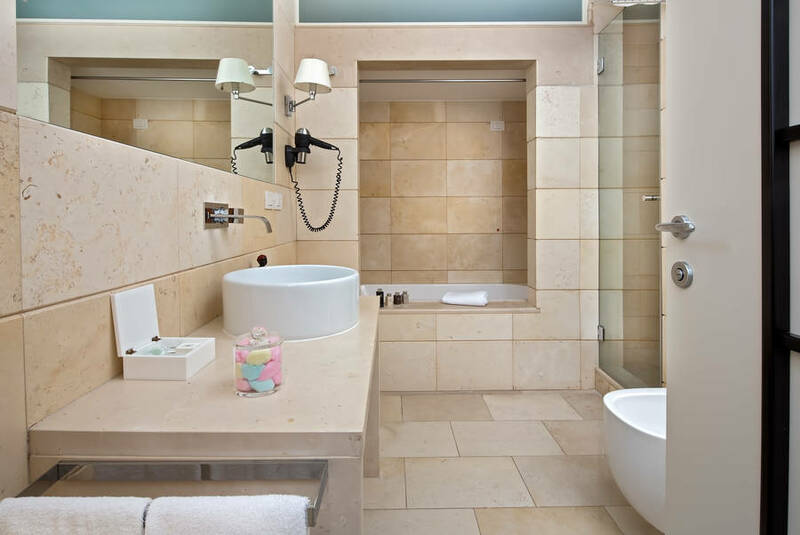 From the choice of pillows to the bathroom courtesy range and towels, the attention to detail is faultless. "